Building has been used for the past 15 years as a Real Estate office. Only upper level is available for rent. 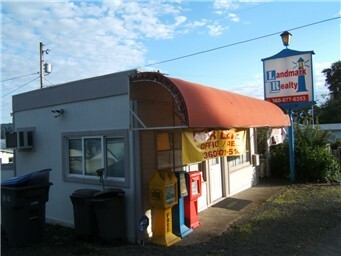 Upper level has a good view of the Hood Canal and the building has great Hwy 101 exposure with a very large lit sign. Building totally remodeled 2007-2008. Would be perfect for retail or office application. Building is vacant and ready for occupancy.